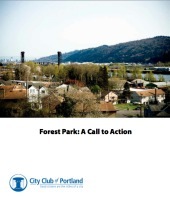 Cover of Forest Park: A Call to Action. A recent report on the health of Forest Park published by the City Club of Portland has a noted off-road biking advocate crying foul. Frank Selker, the man who launched an effort to improve biking opportunities in the park back in December 2008 and who sits on the City of Portland’s Forest Park Single Track Cycling Committee says the report contains false, potentially libelous statements and he wants City Club to make several edits before it is officially adopted tomorrow. 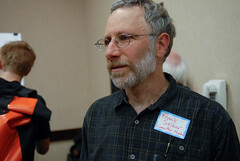 In a letter to City Club outlining his concerns, Selker pointed out two major areas where he feels the report’s authors have significantly erred: By repeating messages (nearly verbatim) often used by biking opponents; and by accusing the City, the Parks Bureau committee, and others of not following the legally binding Forest Park Natural Resources Management Plan of 1995. In particular, Selker points to a passage in the report that states, “The off-road cycling community has become very well organized.” This same statement has been made repeatedly by Marcy Houle, a member of the Forest Park cycling committee who has been adamantly opposed to more biking and who was interviewed by City Club for their report. Houle — who sent an inflammatory letter opposing bike access to The Oregonian before the committee process started last October — has used this line in recent committee meetings as a way to negatively paint those in favor of more biking as being part of a well-oiled lobbying machine only out to serve its interests. C-9. Currently there is organized pressure to increase biking activity in the park. The process established in the 1995 Management Plan to assess such requests has not been followed. Instead, the city established a committee whose stated goal is to increase biking in the park, without having first done the studies required in the 1995 plan. It’s important to note that the committee — which includes Ms. Houle and a diverse range of stakeholders — has come to consensus on several proposals that would increase biking in the park and none of them runs afoul of the 1995 Management Plan. Selker applauds the report on its overall content and feels it rightfully points out the most pressing threats to the park — invasive species and a lack of funds for operation and maintenance. This report is just one of many sources of information Parks Commissioner Nick Fish and Director Zari Santner will take into account before making their final recommendation in the coming months. I have not yet heard back from City Club in response, but will update this story if/when I do. — Read more of our coverage on this issue here. If I produced that sort of writing in my job, I would be let go immediately. Shame on Marcey Houle for creating monsters to justify her personal paranoia and anti-bike agenda. I, for one am not part of any organized cyclist group and I support increasing multi-use paths in the park. Why didn’t the report mention the organized anti-bike efforts? I agree with Frank’s interpretation of the report with respect to bikes, but the real issue here is how the Parks Bureau will respond in the context of the recommendations of the Forest Park Singletrack Committee. Parks staff has indicated the committee is on solid ground with regard to their recommendations (both on increaasing trail access for bikes and the corresponsing management recommendations). We’ll see if they will follow-through on the committee’s recommendations. Regardless of whether the City Club edits their report, there is still a signifcant, well-heeled and vocal constituency who are opposed to increasing singletrack riding in the Park. To insinuate that bikers are “highly organized” compared to other group is laughable. As much as we’ve made strides in that area in recent years, we (the Northwest Trail Alliance and other bike advocates such as Frank) do not have anywhere near the political sway that other groups have had and continue to have in these discussions. Frank (and Tom) thank you for putting into words (in a well organized and eloquent fashion) many of the fears and frustrations I have been feeling in regards to this “report”. The City Club report reads more like a manifesto – laying out statements in support of an unfounded, biased position that was previously decided upon – than any sort of evaluation of the current condition of the park. I have always been pretty supportive of what the City Club has done, however, I believe this report is a great discredit to the image of The City Club. Perhaps you should read the entire report, and also wait for Mr. Selker to post the City Club chair’s detailed response to his request, which appears to have been sent to him before he posted this. I’ve read the report. It’s a well-written and thorough document that deserves serious attention. It brings up many very important issues. Unfortunately, given what I know about the biking issue in particular, I think they did not do it justice. And that’s a problem because they themselves in the report state that mountain biking in the park is “the biggest user issue facing the park.” If that’s the case they should have presented a more balanced view of what is a complex, divisive and emotional issue that a lot of people care deeply about. I would love to see the City Club chair’s response but have not yet. When I do I will update this story and/or do a separate story as necessary. Even bike specific trails can be damaged from over/inappropriate use. They are closing the Sandy Ridge trail for up to two months to repair damage / make improvements. Most of the damage was from riding the trail when it was too wet. We are kidding ourselves if we think folks won’t ride any FP singletrack when wet. There is an impact from bike use on trails. Yeah, no study has adequately quantified / distinguished impact from biking as opposed to other users, but I’ve seen it with my own eyes while atop two wheels. Just take a ride on any Mt. Hood area trail (Surveyor’s, Knebal, High Prairie) during the late summer and you’ll find rutted out trails, particularly in corner / switchback sections, mostly from folks who don’t know how to ride properly and think that skidding is the way to corner. That said, I think shared use of existing trails (on an alternating schedule) is what to push for with closings weather dependent. There would need to be some sort of enforcement mechanism, though to prevent user conflict and inappropriate use. All trail use damages trails and the park to some degree. There are many rogue trails built by hikers, runners, bikers… and dogs (which are technically invasive species in the park) run all over the place doing whatever they do. What we need to do is have a fair, informed discussion on what Forest Park is and how we can best manage it to fulfill that definition. Is it a nature preserve? Is it a regular city park? Are some sections more ecologically sensitive than others? If the park is dying like many smart people say it is… than maybe it’s time to start capping usage at a certain number. People are scapegoating with the bike issue. Rates of hiking/running have skyrocketed… will people agree to limit those activities for the same reasons they want to limit biking? Is this really about “protecting the park” and “being good stewards”? Or is this just about some people having a negative perception of mountain bikers and mountain biking and letting that get in the way of a civil discussion? Everyone agrees Forest Park needs help. By figuring out a way to improve biking, a lot more Portlanders would instantly care a lot more about the park and would be more than willing to help it survive (with financial and sweat equity). I recieved a response today but it does not yet address the issues that I have with it. But hope srpings eternal and I am hopefull it is worked out before the report is approved tomorrow. Here’s an analogy: Imagine that a homeowner asked an architect for ideas for an addition to their house. Now image that a neighbor that doesn’t want any additions built accuses the architect of violating city building codes – even before he sets pencil to paper. The neighbor also goes after any other angle they can – and that is what the City Club became embroiled in. The FP Plan specifies how changes must be reviewed prior to implementation, but we haven’t even made any recommendations yet. It doesn’t specify how we can think, or evaluate, or generate ideas and recommendations. It is not thought control, it is action control. It does not prohibit proposals of any kind – they just have to be evaluated according to the Plan – and no one doubts that they will be. The statement that anyone – Nick Fish, Parks, or the Committee – has not followed the plan in this matter is completely false. The closure of Sandy Ridge is a perfect of example of why MORE singletrack trails need to be made available to mountain bikers. It’s really the only viable fully sanctioned place to ride within 45 minutes of Portland. Because of this, it’s attracting a massive amount of riders. The way I see it: Spread the trails, spread the riders, diminish impact. The only way to make most everybody happy is to build a new trails system in the park and limit conflicts. Yeah, the rotating schedule has worked in other cities, but I don’t think it will work well in Portland. The city wouldn’t even have to drop a dime on the project, mt bikers are more than willing to do the work. To prove this, I was at a work party north of Portland last year, over 60 mt bikers showed up to build some beautiful single track. I don’t remember the total mileage built that day, but it was in the 2-3 mile range. Keep the user groups separated and there will be no conflicts. Nothing like turing a public park into a private estate for the very same hypocritical oil-obessed demographic that has ruined the county and allowed the Bush empire to soak this country for with fear and hate not seen since the McCarthy era.. There is nothing in the Forest Park Natural Resources Management Plan of 1995 that legally binds Forest Park to provide off-road biking access to singletrack/single width trail in the park. Maus…you might consider your use of the phrase “…biking opponents…” in your story, considering that reservations people are having in regards to biking in the park, is not associated with bikes in general on already approved routes through the park, but specifically…off-road bikes on single width trail, aka ‘singletrack’. I’d agree that both the management plan and the City Club report are poorly written in regards to a specific definition of what off-road biking is, and of the types of off-road biking within that definition, what type of off-road biking might compatible with responsible use and preservation of Forest Park. With some others that have been quoted in this story, I’d disagree also, with the City Club’s description of off-road bikers being well organized. If they had been well organized…that is…if the local off-road biking organization Northwest Trail Alliance had been well organized…it may well long ago have formulated a clearly understandable, persuasive proposal for single track access in Forest Park or elsewhere on open land similarly close to downtown Portland, as FP is. The Forest Park single track trails advisory committee has been meeting for what?…about the last 9 months? During that entire time, the whole point of their meeting was to consider changes to the present allowed uses of the park that might create access within the park to…specifically…use of single track for off-road biking. The outcome of this effort appears to be that the committee members have accomplished very little; a handful of possible locations in the park for off-road biking use have been identified, but none have been tentatively selected. On the part of the public, until there is a common, recognized understanding of what off-road biking is, and what types of that recreation can be compatible with the service that Forest Park has been designated to provide the public with, there probably will not be much positive progress towards creating more access within the park to off-road biking on singletrack/single width trail. Since only 8% of respondents requested no additional cycling in Forest Park I’d say that ‘the public’ understands what the words off-road, single width and singletrack mean. Don’t you get tired of repeating questions that have been answered over and over? In response to questions you raised about the process by which the City is considering additional biking paths in the park, I reviewed the 95 plan and confirmed that the Plan identifies a process which has to occur before the City can commit to putting additional bike paths in Forest Park. • C-9. Currently there is organized pressure to increase biking activity in the park. The process established in the 1995 Management Plan to assess such requests has not been followed. Instead, the city established a committee whose stated goal is to increase biking in the park, without having first done the studies required in the 1995 plan. I first noted that the 95 Plan does not identify off-trail bike paths at all. The very limited recommendations on Bike Trail Connections and Extensions is found at p.184. None of those recommendations involve the creation of new bike paths, in natural areas. Thus, the creation of off-trial bike paths is, at the least, an “unanticipated project” in the park, as that term is used in the 95 Plan. The Plan discusses Implementation Procedures for three types of changes in the park. The first type of changes are “Actions in Conformance with the Plan.” This section is broken down into “Uses Allowed” by the plan and “Uses Needing Further Evaluation. The latter category would include an “unanticipated project” or a “modification to identified Plan projects.” The plan specifically identifies “Creation of new bike trails” as a “minor amendment” to the plan. Minor amendments to the plan “are reviewed through a Type II environmental review procedure.” I reviewed the requirements of a Type II Environmental review procedure. Nothing like this has been done with respect to adding bike trials to the park. A. There is a demonstrated need for the proposal. B. The proposed action is consistent with Forest Park Natural Resources Management Plan Goals and Strategies. C. Alternative locations and design modifications were evaluated to show that the proposal has the least significant detrimental environmental impact of the practicable alternatives. D. A construction management plan and a mitigation plan will minimize impacts on resource and restore adjacent disturbed areas. 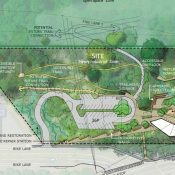 The committee believes it is reasonable to read the plan to require, at the least, the evaluation of alternative locations and design modifications before additional bike paths may be proposed in the park. We also believe there has to be a demonstrated need for the proposal at some step in the process and we believe it is reasonable to read the plan to require this before a determination has been made to increase the number of trails. We do not believe the City, through the work of the Forest Park Single Track Cycling Advisory Committee, has followed the process set out in the 1995 Plan. By all means post comments, but layoff the novels. When did pro-bike groups become a threat to the park just because they became organized? Does that make the anti-bike groups a threat to the park because they too became organized? This is misleading. The city club is an exclusive private club and should have no more influence than any other public interest group. It was not that I was unwilling, it is that it does not address my concern and I assumed few wanted to see it. But in case you (and others) are interested, here’s the response that I had sent to that letter. Most will find it boring, but perhaps the paragraph starting “But the central point …” will explain to you why this note to me was entirely unresponsive in content, although I am sure well-intentioned. Thank you for getting back to me. I appreciate your effort on this and I’m grateful that you are an attorney for this conversation. I have a concern about the comment regarding bikes causing rutting to trails because the facts are that pedestrians do as much damage. However, I will put that aside and address the more egregious issue that you refer to. I’m assuming you meant “off-road” where you say “off-trail,” since we are not considering cylcing off of trails. The reference on pg 184 actually is a new bike path. They note that FL 5 ends above Leif and propose connecting it with Leif with a new bike trail. I believe the trail did exist as walking trail however, so the proposal was to make it suitable for bikes and open it to bikes. But this is a minor point. As you noted, the plan lays out how actions in the park must proceed, as either allowed, Type II review, Type III review, or Modifications to the Plan. By way of background, Parks has learned in consultation with the Bureau of Development Services (which reviews such plans) that no one can be sure exactly which reviews are needed for various proposals – BDS can only make a final determination when a proposal is submitted. We have been told that some of the things we have considered would fall under each of the three levels – allowed, II, or III. But the central point is this: The Plan sets out requirements for implementation of projects in the park (note the chapter title on page 215: “Implementation Procedures”). Our committee charge is to prepare recommendations. Our job is only to provide ideas – we have no power to implement anything. Our recommendations then go to Parks and Commissioner Fish for consideration. They can then elect to pursue plans they deem most appropriate – either using or ignoring our recommendations, at their pleasure. However, in any case they are bound to follow the law, and part of the law is laid out in the Plan. As an aside, no one I know is contemplating not following the law, including the Plan. There is nothing in the plan that says people cannot prepare recommendations and evaluate alternatives, which is all our committee can do. So neither our committee nor Nick Fish nor Parks has in any way violated the plan. To do so we would have had to initiated actions without following the plan, but the committee hasn’t even put forth any recommendations yet and we will never have authority to implement anything. In short, the plan does not prohibit evaluating alternatives or making any proposals or recommendations – and that is all that has occurred. It prohibits implementing changes without following the procedures, and that has not occurred nor is it proposed. Note that you cite criteria for approval of amendments – but none have been submitted or initiated and the plan does not specify how such amendments must be prepared. I think much of the content of the report regarding cycling reflects a lack of knowledge of the issue – I don’t think your committee did the homework needed to come down on either side of this issue. But to the point of this issue, and as I have explained above, the accusation that we did not follow the Plan (and thus the law) is incorrect and in my opinion libelous and damaging to both my reputation and my efforts. Thus I ask you to retract that statement. I would be happy to discuss this on the phone if that is helpful to you. To simplify: The plan controls the implementation of changes to the park. No changes have been implemented. If any are, they will follow the procedures. The plan does not control ideas, reccomendations, thoughts, or proposals. I could just as easily say that City Club has violated the plan by writing a report which certainly has content the Plan did not anticipate. It would be equally absurd. “Since only 8% of respondents requested no additional cycling in Forest Park I’d say that ‘the public’ understands what the words off-road, single width and singletrack mean. Zimmerman, as to the 8% you cite, I believe I know from where you’re citing that figure, but to clarify for others reading here that aren’t aware of what it refers to, perhaps you’d care to explain. I’ll take a guess that you’re referring to the survey recently conducted by Portland Parks and Rec. Personally…no…I don’t consider that source to adequately indicate that “…On the part of the public…there is a common, recognized understanding of what off-road biking is, and what types of that recreation can be compatible with the service that Forest Park has been designated to provide the public with, …” (excerpted and altered slightly from my comment #14). 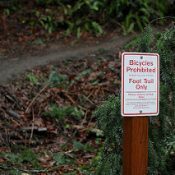 That was not a scientifically conducted survey of the Portland public’s common knowledge of off-road biking in its various forms, and how that activity might or might not be one that the public desires to take place within Forest Park. You question sounds as if it might be intended to be insulting, but I’ll let it pass. So, Z…if you care to answer, what questions are you referring to? What answers? Rather than clog up this thread with a bunch of side questions, I’d suggest you go to a thread in the forums that was started some time back. There, some of the other forum readers, including myself, might be interested in hearing what’s on your mind and giving you some constructive feedback. Seriously considered, good-natured, civil comments are readily welcomed. I don’t mind asking questions so much as I do people responding with insufficient or incorrect answers. p.s. Jonathan Radmacher #17…thanks for posting that Chair of the City Club committee correspondence. It seems to me that the anti-shared path groups are far more organized and oiled than the pro-shared trail groups. Due to the growing number of book length posts, can I get a hard-copy version of Bike Portland? Those trails you speak of off of RD 44 in the Mt Hood area are damaged like that from overuse. They are going to be further damaged because there is now 110 miles LESS trails for MTBers to ride because of the latest Mt Hood Wilderness Act that was approved. Yes, our US Congressman Earl Bluemeanuer and his Wilderness Act CLOSED over 52% of the trails MTBers were allowed to ride, and also maintained, for over 2 decades. So once again we have the same problem as here in Portland, a LARGE demand for singletrack trails, with a SMALLER supply to ride. What do you expect? Those are also the closest trails to Hood River, and are prominently displayed on every MTB map in the area. They might as well put a neon sign on HWY 35 that flashes: TURN HERE FOR MTB TRAILS! Banning bikes from the park is the only answer. Tony; as many have suggested, that is not the only answer. Please either contribute constructively or refrain from commenting. Why stop with bikes? Let’s ban people who are taller than 6 feet. Or anyone who doesn’t want to use the park in same way you and the Park’s neighbors do. But this article isn’t about whether bikes should get trails, it’s about the quality and process of City Club reports. Thanks Frank. Shame on the city club. The City Club report is factual. Anything else would be a lie. It is NOT factual in this matter (I do not know about other aspects). My posts above explain this in detail. I think that pretty much sums up Mr. Columbo. Keep up the good work Frank! meanwhile, in the face of continued inaction, some cyclists will continue to ‘poach’ the hiking trails in the park. Come on. It is dishonest at best and supremely naive at worst to suggest that mountain biking doesn’t severely impact NW forest trails, including those in forest park. I am a dedicated cyclist and was living in NW Portland when I first moved here in ’90. I frequently used the trail system as a cyclist and hiker and the devlolution of the biking/hiking trails from footpath to rutted mess to even bigger rutted mess has been in-your-face over the years. I didn’t read the report, but if they made the assumption that cycling is causing problems in Forest Park, they made the right assumption. Just say what you really mean “it’s all Bush’s fault!” Jeez, you guys need a new mantra. Now, limiting MTB access to Forest Park is a Bush plot. I guess Cheney is also lurking in the trees somewhere waiting to blast some unsuspecting cyclist passing by. Or is it about rich white guys opressing the masses? Get real, this issue is about legitimate trail users asking for equal access to public lands. Try and keep your personal politics from clouding the issue. The Advisory Committee process is flawed. It was the result of political promises real or implied that should not have been made prior to following the established plan for changes in Forest Park. What followed was a political kabuki dance to reach a predetermined outcome ie more Mountain Biking. As to objectivity the committee members that have a science backround generally oppose expansion of Mountain Biking to any great extent, just look at how the votes on the committee have gone. What a surprise Mr. Selker and his group of bikers are all in agreement with their only expertise I see being limited to biking. If I was to buy a Mountain Bike Mr. Selker would be the first I would consult as for knowledge of Forest Park I take the word of those who have written extensively about it and work at the park. Of course it is not a conflict to sit on the committee and own a bike shop wonder what way that vote went or for that matter have a paid city staff member show up at a bike event to a round of standing applause, what a display of objectivity. PS The bike community has a majority on the committee. Your own blog indicates Sandy Ridge was closed due to damage so much for Mr. Selker and the limited footprint of bike tires. Furthermore the treatment of those in opposition has all too common been at the very least rude and certainly not civil. The constant exception is Tom Archer who I do not agree with but is civil and respectful. I wish the best of luck to the City Club in all aspects of their report not just the few paragraphs Mr. Selker is so upset about. – I have a science background. – I asked opponents to join me in searching and reviwing the scientific litterature together. They would not. Perhaps because it does not support their claims. – City staff spend lots more time with groups that don’t want to share trails. And I’m fine with that – I’m glad they are in touch with everyone. – Cyclists do not have a majority on the committee, we are about 1/3 of it. But most of the unaffiliated on the committee ultimately voted for cycling proposals. Do you respect them because they don’t bicycle? Just went down and checked out the wildwood trail down sprinville, it is a total mess, no bike required. Anyone who says that hiking on wet trails doesn’t damage them is dishonest at best and delusional at worst. No one is saying that cycling doesn’t have an impact we are saying that the impact is the same or similar to hiking. We’ve just had record rainfall. To expect the trails to be muddy seems a no brainer whether from feet or tires. Maple trail is lousy with recent bike tire tracks, btw. Maple Trail would be great for all users with a little manual labor. If Maple and Wildwood are too muddy for hiking and running, feel free to hit FL 5. It’s in pretty good shape, especially considering the fact that it gets ridden by just about every mountain biker who enters the park. Calling names. “anti bike troll”. Now that you have that off your back do you feel better? I love Forest Park. It’s where I like to go to renergize myself. Competing with bikers, or maybe they are really zoo bombers, for a hiking trail can be dangerous. For both parties. But bikers are the ones damaging the park. They should be banned. We propose use that separates users (alternating days or different trails) so no safety issues. And bikes don’t damage trails any more than pedestrians. Both do damage when it’s very wet, neither do when it’s dry. People who don’t want to share the park say that over and over but it isn’t so. Yes, you can see tracks, but no, they don’t do more damage than runners and hikers. FL 5 is used by bikes HEAVILY and it’s in as good of condition as the hiking trails. If you love the park, you’ll know that nothing happenining on trails is the problem – it’s Ivy and other invasives. But I’ve learned that information rarely sway people because they really just don’t want other users in the park. I disagree Frank the park is being damaged by biycycles and their riders much more than hikers. Open your eyes and quit tryng to spin the truth. I agree with Frank. The park is currently being damaged much more overall by hikers (running/hiking the Maple Trail after record rain, for example) who have zero rules when it comes to usage, that is a fact. You’re entitled to your opinion and, as I’ve seen in other opponents, the facts won’t change it. But smart leaders do care about the facts, so I have hope. Unfortunately Portland has few, smart leaders. I drove 3 hours each way this weekend to work on a trail in the McKenzie Ranger District that was built in the 1930s by the CCC. It is a seldom used trail, being rugged and remote so it is in need of a lot of rehabilitation. There is some amazing handcrafted stone work hanging on the side of a very steep slope. We didn’t need to work on that section, it has stood the test of time. But many other spots along this trail are fading so we dug and brushed as much as we could. It is and will be a challenging trail to ride or walk. After several hours walking the lower section doing trail work, we rode our bikes down from near the top. We left tire tracks next to our boot tracks. It was a great day and I never once thought about Forest Park. Frank runs up against people that don’t agree with him on off-road bike access to single track in Forest Park related issues, and how does he respond? : Calls them “…opponents…”, and “People who don’t want to share the park…”. Who the heck are the opponents he refers to? There’s 17 members on the committee; Is it all of, part of, or none of them that he refers to? What ‘scientific literature’ is he speaking of? Why doesn’t he bother to take time to clarify that complaint, yet hastens to accompanies it with idle speculation expressing his bitter disappointment that unnamed persons have declined to spend time with him studying “…the scientific litterature…”? Check out the advisory committee minutes posted on the page for that committee at the Parks and Rec website: Selker seems to attend the meetings. Why didn’t he ask people that didn’t want to join him in studying the literature he speaks of, ‘why’, they didn’t want to join him? Why did he not report something of their answers about this…if he bothered to ask them…here in comments, or in the lead story maus provided him with, so that people reading here might have had that as some help in their efforts to make sense of this issue? 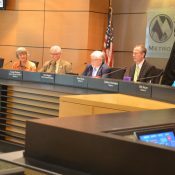 People that badmouth and malign fellow members of the committee they sit on, in a public format such as bikeportland is, are not likely to earn those members respect or cooperation. It’s possible for people to have opposing viewpoints, yet work compatibly and constructively together on a common assignment. A working relationship doesn’t have to be adversarial, but considering FP single track advisory committee member Frank Selker’s comments here, that appears to be exactly what he’s working to make it be. You really should have attended the committee meetings before speaking about working relationships. It would have been eye-opening and a shock for you, I think. If you (or others) want answers to your various questions, contact me directly and I will be happy to explain and detail. Frank…’the committee meetings’? Do you mean the Forest Park Single Track Advisory Committee meeting specifically? I don’t think it’s necessary to attend those specific meetings to know something about working relationships, thought it does seem quite clear from reports and comments here on bikeportland and elsewhere, that the working relationship some of the people on FPSTAC have, are not good ones. And no, I do not believe people should have to contact you directly in private correspondence for answers to questions your comments within this public forum have raised. It’s in a public forum that you have made accusations and remarks as a member of a group that is serving the public. I welcome anyone to correct me if I’m wrong, but I believe such people have an obligation to provide answers in the same public setting that they raised the questions. This exchange would clearly be endless. By the way, what is your actual name? Frank…It doesn’t surprise me that you’re continuing to evade answering basic questions associated with the charges you’ve made in the lead story. I’m not sure why you as a member of the advisory committee would do this, but I am not favorably impressed, and doubt many other people would be either. As far as my actual name is concerned, the unavailability of my actual name online should not prevent you from conducting yourself responsibly in comments you make online as a member of the advisory committee. Online, I’m wsbob. That’s my nom de plume. I’ve got a number of reasons for retaining some anonymity online. Considering the character and content of my comments here on bikeportland and elsewhere, which I work at making well reasoned, civil and respectful as situations call for, I don’t feel any obligation to provide further explanation. hypocritical #52…thanks for posting that link, but what about the story it leads to and the accompanying comments, leads you to conclude Forest Park Single Track Advisory Committee member Marcie Houle is, as you’ve put it, “…an opponent of bicycling…”? Has she offered comments saying she’s an opponent of bicycling? I very much doubt it. Does she really just not like bicycling at all, and as a result, has become an opponent of the activity, determined to banish it from the earth? It’s possible, but I kind of doubt that too. How about bicycling, or more specifically, off-road biking on single track trail in Forest Park? Might she be an opponent of that type of bicycling in that particular setting? As things stand with the committee at present, my impression is that she probably is. The fact is though, she’s but one of 17 members on the advisory committee. 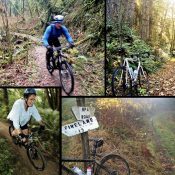 It may be possible for off-road biking enthusiasts to put together a proposal for off-road biking on single trail in the park that would address the responsibilities and concerns of those other 16 members, thus making progress towards the recommendations Portland Parks and Rec is hoping for from the committee. Marcy’s position has been clear all along. She does not want increased biking in the park until the required studies are performed. She doesn’t want any shared single track trails due to a variety of reasons, but safety is the utmost reason. If the city has an authority and historian on the park, it would be Marcy so she speaks with knowledge. She isn’t against bicyclists. She is trying to save the park. Les Blaize has been just as outspoken and no one attacks him. Do I see a bit of sexism on this board perhaps? I am sure NO ONE would ever fess up to that.